Twenty evil projects, ranging from freak-show oddities to carnival curios. 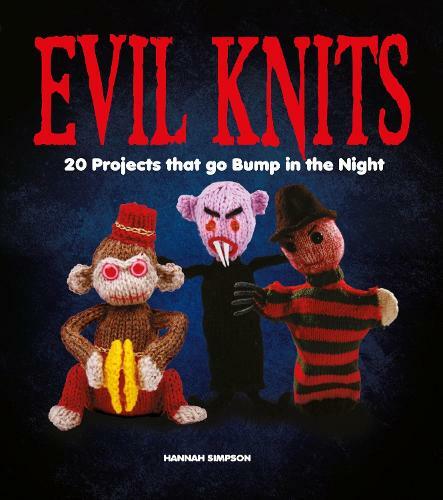 This book includes instructions for knitting a voodoo doll, gravestones, ghosts, cymbal-clashing monkeys, freakshow finger puppets, creepy clowns, zombies and many more fiendish characters. The patterns included in the book assume a basic level of knitting skill including casting on and off, knit stitch, purl stitch, increases, decreases and knitting in the round. Each project has full and detailed instructions, but there are tips a-plenty on customising your evil knitted items to truly make each project your own, offering something for beginners and advanced knitters alike.